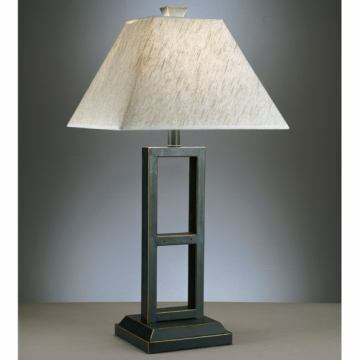 Bronze finish based table lamp. The Deidra Table Lamp is a bronze finish table lamp topped with a natural linen square shade and features an on/off switch. (2 per carton). Shade: 6.25" x 14" x 10.5"